Did you know that your business cards play a huge factor in increasing your sales? In a recent study, they found out that sales will increase 2.5 percent for every 2000 business cards you hand out. And that’s something you should think about if you have a business. 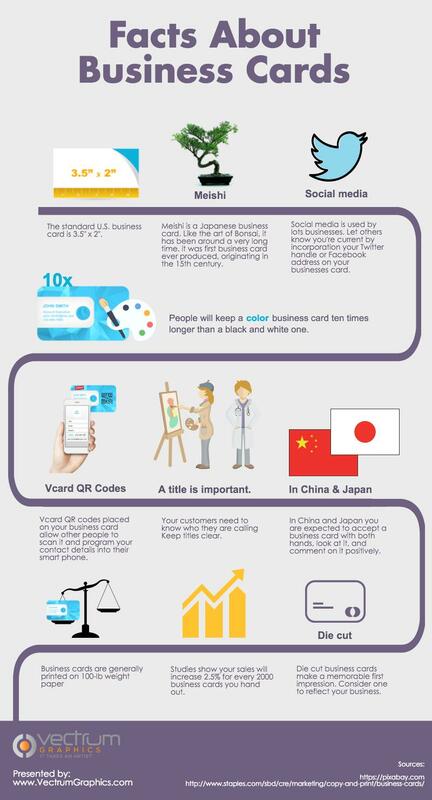 Are you ready to craft an effective business card? Got any ideas? Here are some tips from Vectrum Graphics to help you.